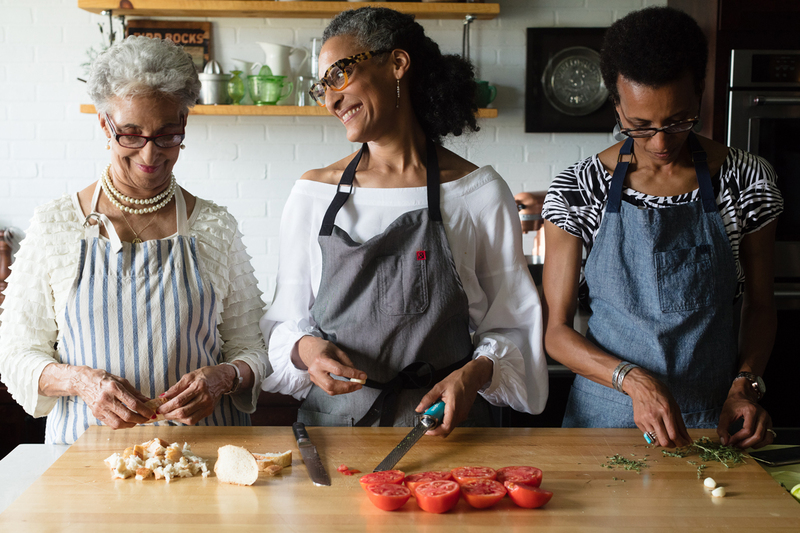 Chef Carla Hall, shown here cooking with her mother and sister, will speak at the Atlanta History Center on October 26. For many years, chef Carla Hall resisted being called a soul food cook. However, when the model-turned-chef (who studied cooking in Europe) competed on Bravo’s Top Chef, the recipes she recalled from her grandmothers’ kitchens made her stand out among the competition. Now, the Nashville native who spent seven seasons co-hosting ABC’s The Chew and serves as the culinary ambassador for the Sweet Home Café at the Smithsonian National Museum of African American History & Culture has fully embraced her Southern roots. 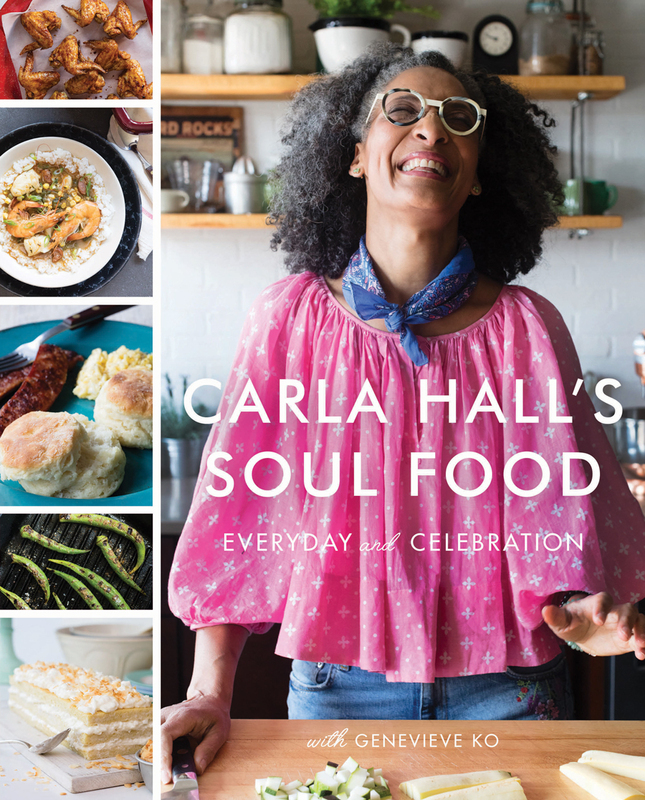 Her latest book, Carla Hall’s Soul Food: Everyday and Celebration, comes out on October 23, and Atlanta is one of the first stops on her book tour. Hall will be at the Atlanta History Center on October 26 in conversation with culture writer Gail O’Neill and, perhaps, serving up some nibbles for attendees. When most people think of Southern cooking, they think of fried, gravy slathered dishes that have more butter than anything else. However, Hall wanted to provide an alternative approach. What most people know as soul food started as the food that slaves and sharecroppers made using what was available on the land. This means to her that true soul food consists of a plant-based diet, so she combined the recipes we all love with lots of vegetables and fruits to create a lighter version of classic dishes. The book consists of twists on simple snacks like ants on a log (swap out raisins and peanut butter for creamy cheddar cheese and pecans); simple recipes for the novice cook such as red cabbage and beet slaw with horseradish-ginger dressing and molasses baked chicken wings; and oxtails and sea island shrimp and grits for the home chef. To write the book, Hall teamed up with Genevieve Ko and went on a 10-day road trip across the South, visiting Birmingham, Charleston, Savannah, New Orleans, and Nashville and gathering recipes that represent each city’s culinary culture. 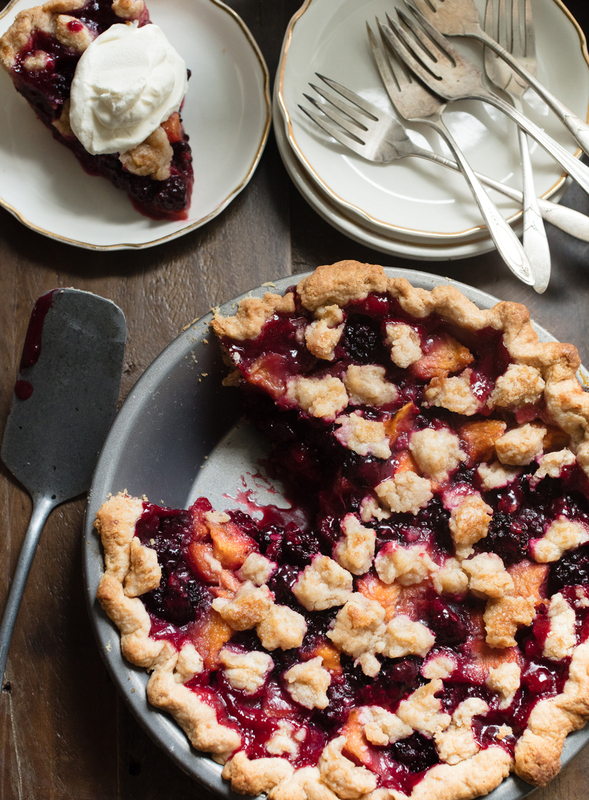 Two years and hundreds of recipes later, she’s ready to share them with the world. Here’s what Hall had to day about the book-writing process, her go-to comfort food, and soul food as a cuisine, not a trend. The book came as an idea [after I had] my DNA done by African Ancestry and found out that my ancestors came from West Africa. I started thinking, If my ancestors came from West Africa today, how would they be eating? The food has changed because we’ve become so migrant, but I wanted to go back in time and sort of recreate this food and think about foods that came over with them. Maybe it was fufu in Nigeria, and it became hot water cornbread in the South because you had corn mill, not cassava, and you had to cook it. I had already set out knowing that I love soul food, and I wanted to say that I love it unapologetically because it’s a part of my history. The food is a part of my DNA. I was seeking stories to confirm why I’ve fallen in love with it again. Going to some of these restaurants where they serve celebration foods and seeing the business owners and how they cooked, I knew I wanted some of those recipes as well, but also to talk to older people about what kinds of foods they ate growing up. I started thinking about stripping away all of the additional fat that we’ve been putting on dishes. There are all of these ingredients that you see now like sorghum and millet and some of these wonderful grains like hill rice and watermelon and coconut—all of these things that come out of the African diaspora, but we aren’t given credit for it. When it becomes healthy it [leaps] out of soul food into something else, so I wanted to make that connection again in a very deliberate way. If I’m in New York and I’m feeling homesick, I make a big pot of pinto beans, greens, and cornbread. 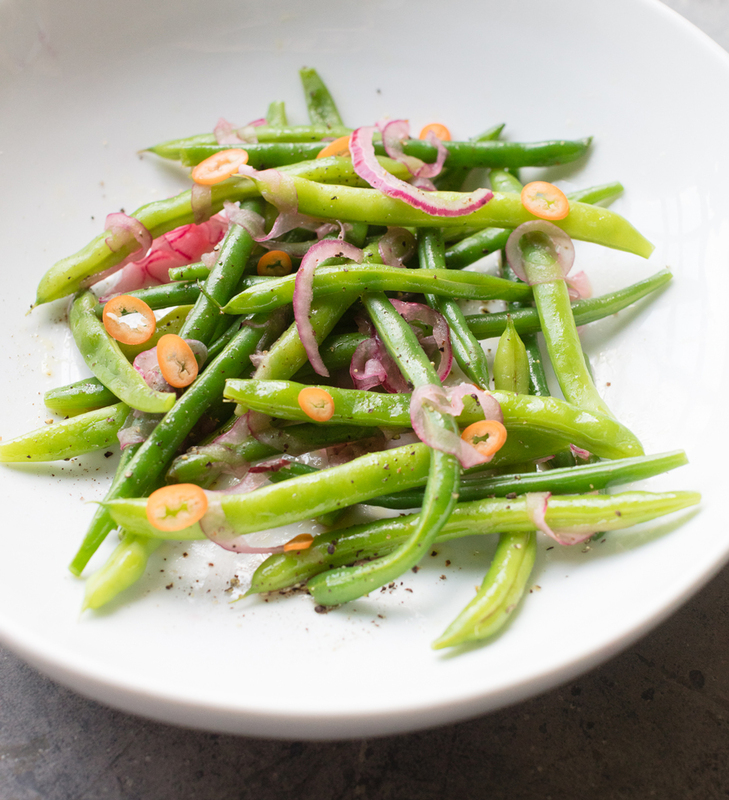 I have several beans in the book—green beans and white beans with coconut oil. 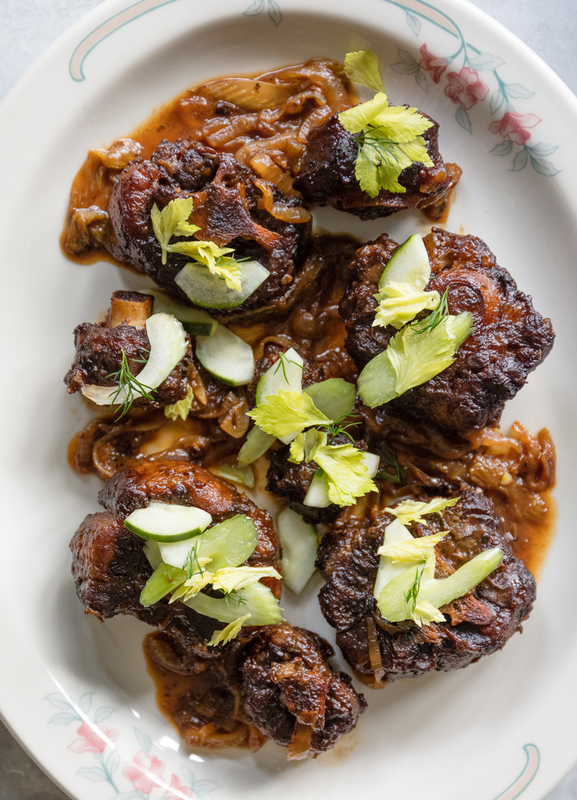 I want to show soul food as a cuisine and not as a trend. The benefit of a trend is that it shines a spotlight on a thing, but trends come and go. This is a cuisine that other people are learning versus something that will be in this year and out the next year. If you think about it, black people are in—look at all the black shows and movies. As a culture, when you realize certain things will make money and sell, people who have power will take advantage. So maybe everyone else is catching up. While they’re catching up, I’m taking the opportunity to educate and say what soul food is and what it isn’t. It is the food of black people. I’m not saying you have to be black to make it, but let’s call it what it is. Italian food is the food from Italian people; Irish food comes from Irish people; Korean food is made by Korean people. This book is about saying where it came from and that it deserves a place next to all these other cuisines.